The End :: Go-kart powered by a lawnmower engine! Below is the last drawing in this set of plans. This drawing has the final words on this Go-Kart. The author hopes that people find these plans, the techniques and tricks used helpful. 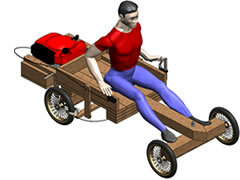 Hopefully it will get you started on the road of making mechanically propelled karts. 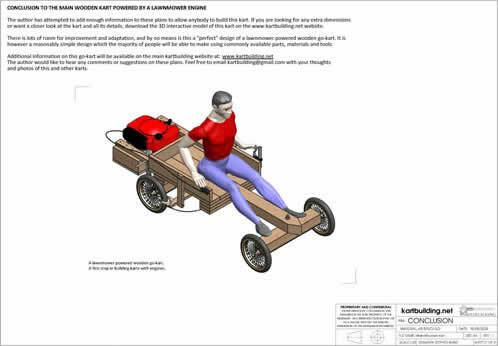 Making this kart will give you confidence to go further and upwards to making a go-kart from metal and getting a more suitable motorbike engine and perhaps even attempt the off-road or racing karts on this www.kartbuilding.net website. 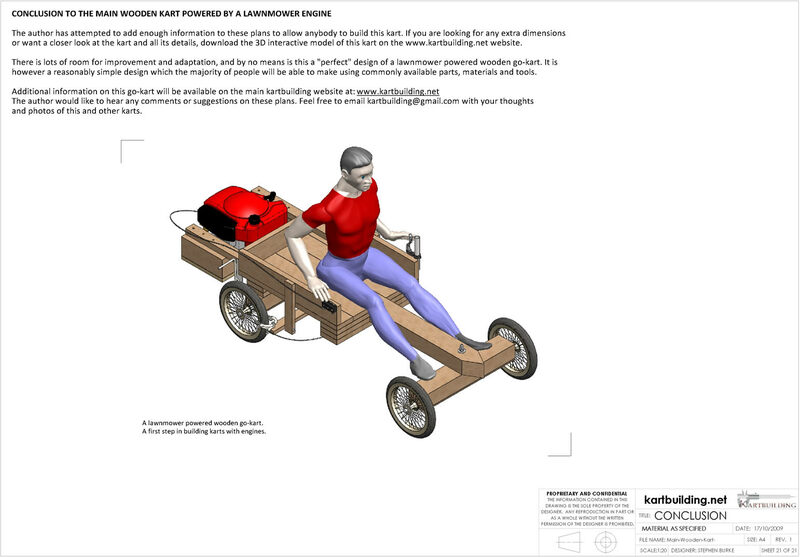 If you have questions, please ask, as you will receive an answer and the answer placed here along with any information obtained, so it will help others when making this Go-Kart. If you liked these plans, please pass them onto your friends and tell them about the kartbuilding website. If you build and make this kart, please send on some photos and they will be put into the Kartbuilding Photo Gallery to give inspiration to fellow Kart Builders.